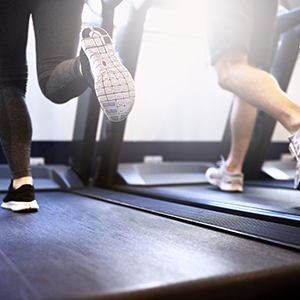 Whether you are an injured athlete or you have been dealing with a painful condition for years, we can determine what therapeutic plan is best for you and help you through it. We are licenced with insurance companies and WSIB. We deliver professional care so you can focus on your recovery. 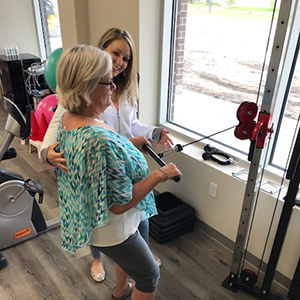 We assess and treat patients using the McKenzie Method, an effective approach to musculoskeletal care throughout the body, using the power of therapeutic movements and positions to achieve results. 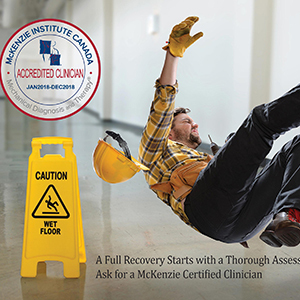 The treatment principles of the McKenzie Method promote the body's potential to repair itself and empowers patients to be in control of their own symptom management, which can reduce dependency on medical intervention. 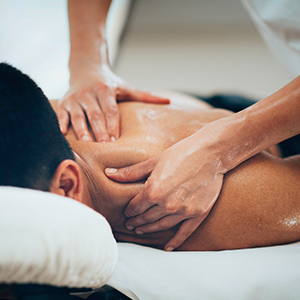 Our Registered Massage Therapists are skillfully trained to identify areas that require deep release for effective pain relief and enhanced mobility. We offer therapeutic massage to athletes. The goal is to optimize the body for enhanced performance and to improve mobility for injury prevention. Massage Therapy is an effective therapy to relieve daily bodily stressors and to improve circulation, enhance healing and promote relaxation. A safe maneuver involving a high velocity, low amplitude thrust that works to improve joint mobility and overall bodily function. 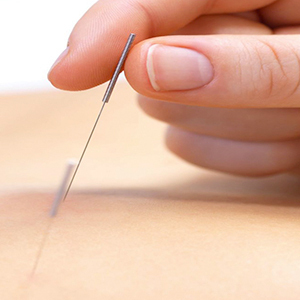 Acupuncture is a therapeutic method that helps reduce pain, promote circulation and optimize the rate of recovery for all types of injuries. A thorough assessment of your walking pattern and foot positioning is critical to provide you with truly custom orthotics. Our custom orthotic service is assessed and fabricated from start to finish by a Certified Pedorthist. 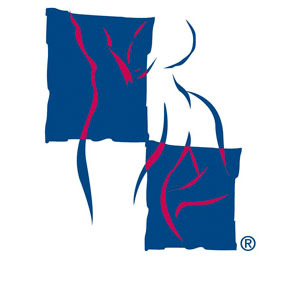 This is a regulated health profession that specializes in the assessment of various foot conditions and the casting, manufacturing and fitting of custom orthotic devices. 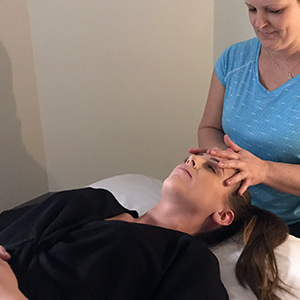 CranioSacral Therapy is a gentle method of detection and correction that promotes your own natural healing mechanisms to reduce the negative effects of stress on your central nervous system and enhance your overall health and resistance to disease. CranioSacral Therapy is performed fully clothed with the use of light touch. 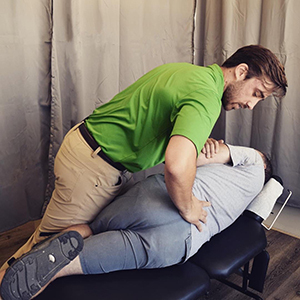 The clinican feels for restrictions and imbalances in your body and uses delicate hands on techniques to release those problem areas - relieving presssure on the brain and spinal cord. Matrix Repatterning is a new way of understanding, objectively assessing and gently restoring balance within the body. Every cell of the body is linked to one another in a network known as the Tensegrity Matrix. When injury occurs, this network is disrupted and interferes with our cellular and bodily health. 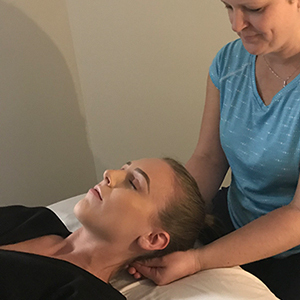 Matrix Repatterning uses clinically-proven manual therapy to restore structural balance, eliminate pain and improve overall health by resolving the problem at the cellular and molecular levels. Using a specialized device and palpation, the practitioner is able to precisely locate the source of the problem, due to an electronic change in the cell structure, which accompanies the injury. Once this is identified, gentle manual pressure is used to encourage the structures contributing to the condition, to return to a normal state of tone. 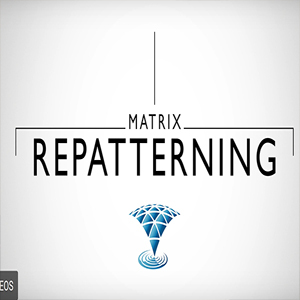 By systematically releasing all of the layers of injury, which have accumulated over a lifetime, Matrix Repatterning can allow the entire body to be restored (repatterned) to optimal, pain-free function.